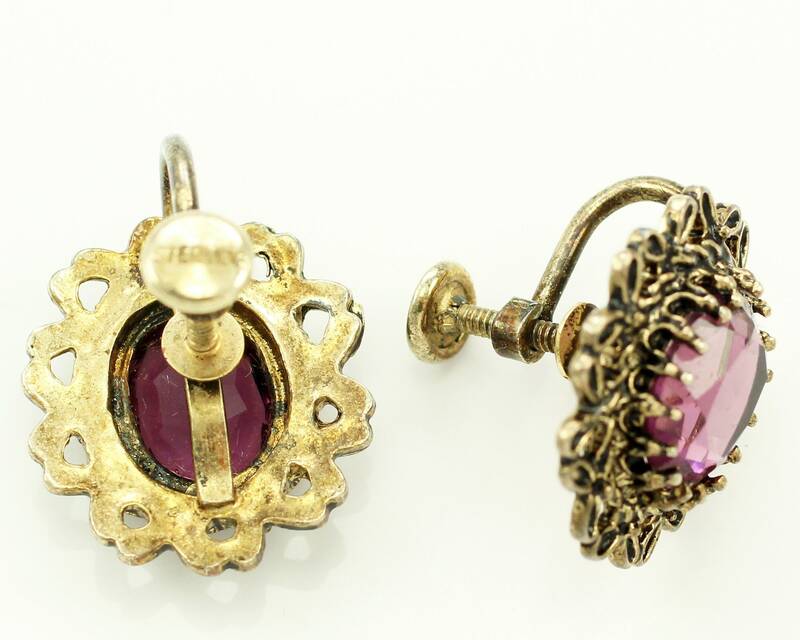 Vintage Antique Gold on Sterling Purple Glass Screw Back Earrings. 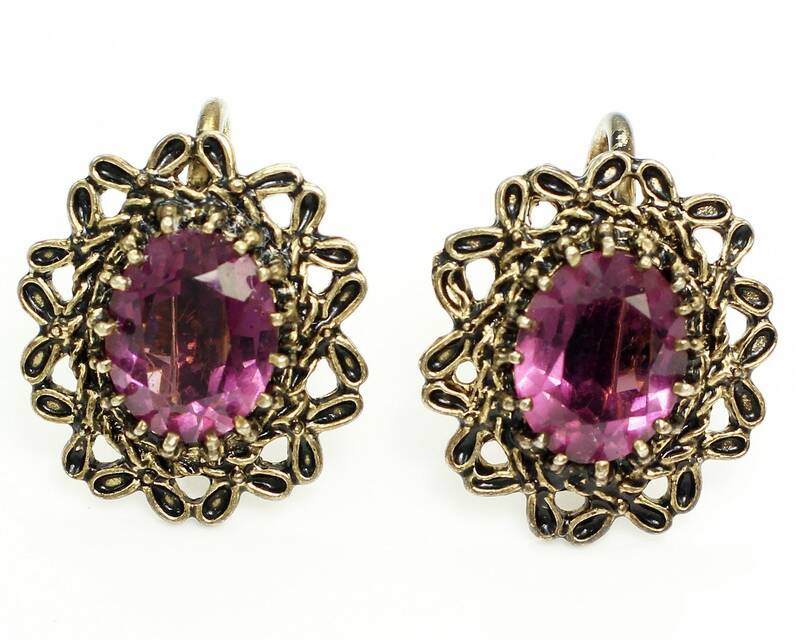 These earrings were made about 1940, but designed in the Victorian Revival style. 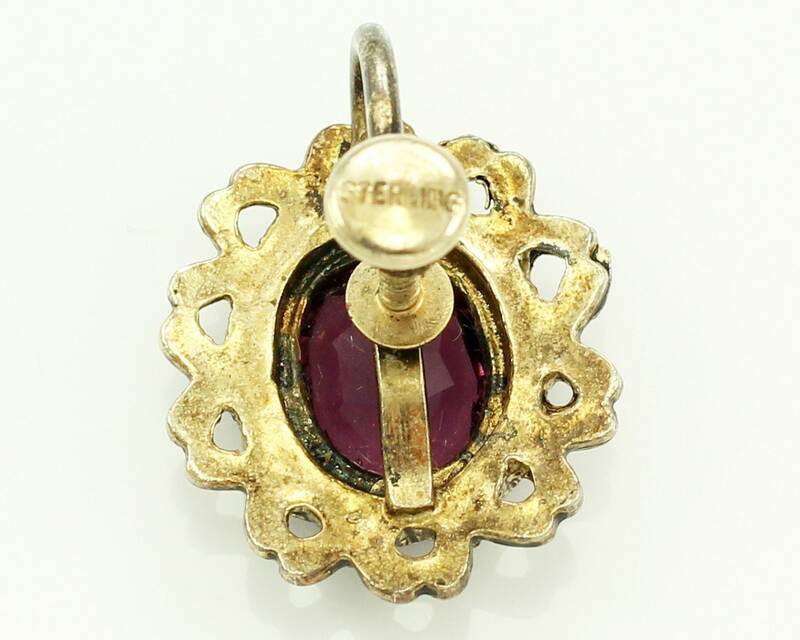 They are fashioned of sterling silver with a gold wash and a black enamel oxidation to create an antiqued filigree frame around oval faceted purple glass stones that are set in ornate dog tooth mountings. CONDITION: In very good vintage condition, with minor wear to stones.